All funds raised through the Liberties Fun Run will go to our Target Lung Cancer campaign. Lung cancer is the most common cause of cancer death in Ireland and the number of cases continue to increase each year. We are raising vital funding for lung cancer research and patient support at St James’s Hospital. Support our Target Lung Cancer campaign further by fundraising for this race. You can create your fundraising page at www.mycharity.ie or request a sponsorship card. 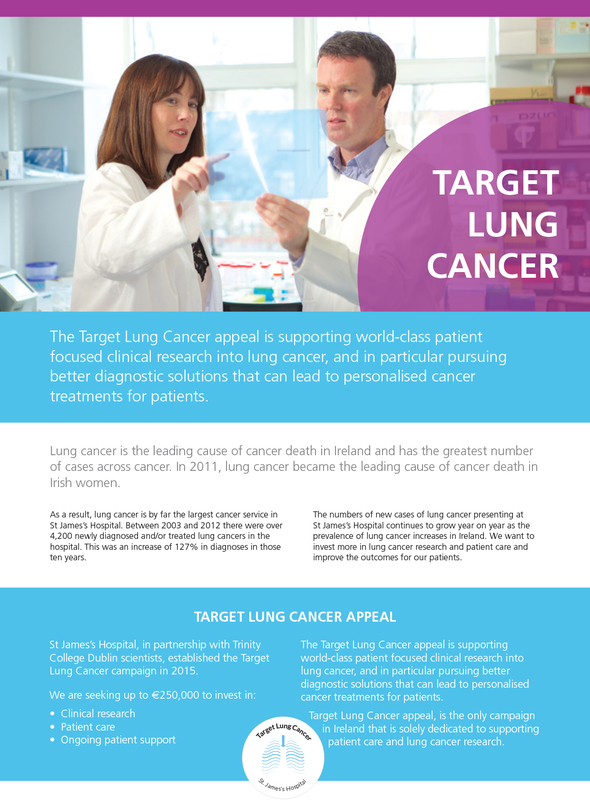 Download the Target Lung Cancer information leaflet here.